Call me boring, but since turning 30 I've developed what you might call a going out "uniform". 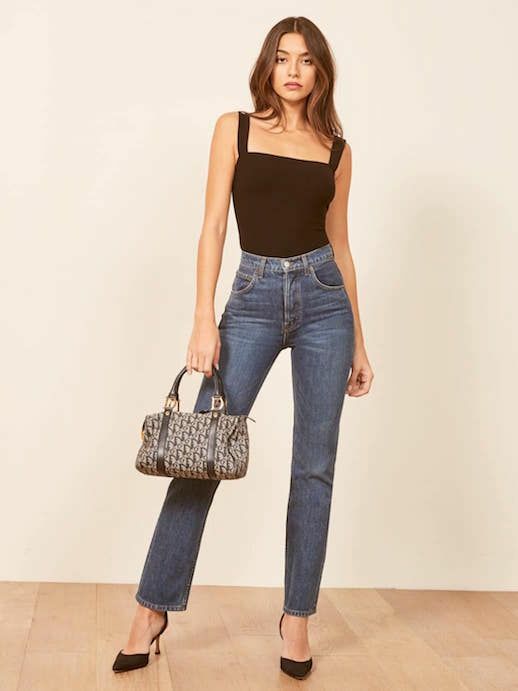 Taking season into consideration, I'll pair a bodysuit or simple black top with high-waist denim and a 90s-inspired sandal. If the look feels too plain for the occasion, I'll top it off with an of-the-moment mini bag, belt, or just layer on some jewelry. If you're in need a foolproof night out look, shop my picks below!